Completed 1931 as Agnita for La Corona. 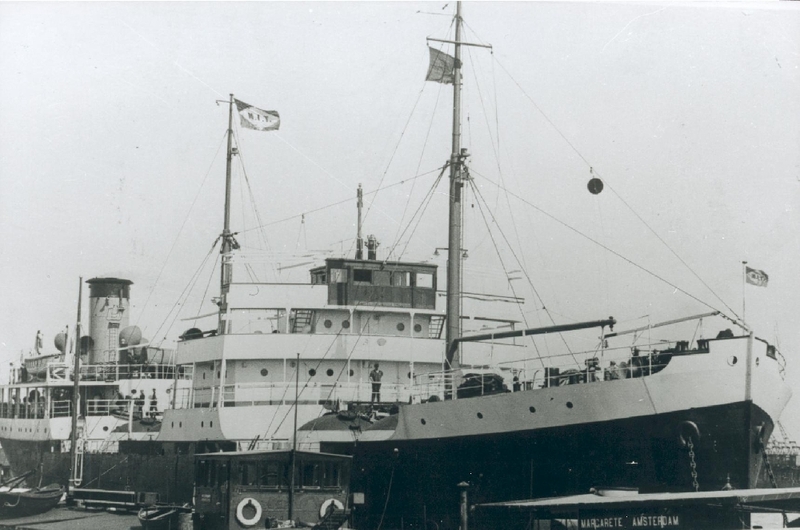 Early multi-cargo tanker used for transporting normal oil products, sulphuric acid and LPG. 1939 to Anglo-Saxon. 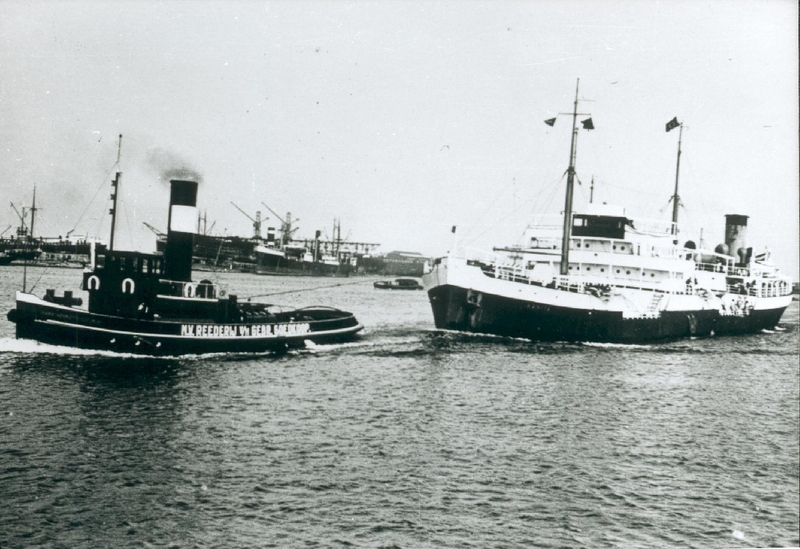 22-3-1941 gunfired by German raiders Thor and Kormoran near Freetown, steaming to Caripito Venezuela. My father was master of the AGNITA when it was captured by the Germans in the South Atlantic in March 1941. He wrote his account of the capture and sinking in his diary, which he kept hidden from the Germans in his long stay in Marlag und Milag Nord. 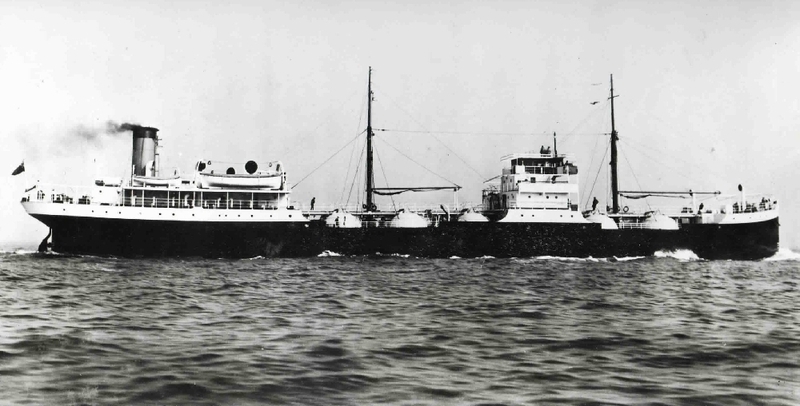 When confronted with the spectacle of the heavily-armed Kormoran, he immediately decided to surrender as his vessel could not outdistance the Germans and the entire crew could have been killed. I have his diaries, including the one for 1941, and his version of the incident is totally different to the German one which, nonsensically, claims that the Agnita tried to escape. I have read the German version and consulted shipping experts and it is just not credible. Ignoring the diary entry, which my father never suspected would be read by anyone else, I found a letter from an erstwhile colleague, sent to my father in 1974, praising him again for his shrewd action, which saved the lives of all on board the Agnita. My book, GOODBYE OLD CHAP, A LIFE AT SEA IN PEACE AND WAR, is based on my father's diaries and which includes other research, discusses this in some detail. I also try to paint a picture of life at sea from 1914 onwards to the Fifties, when my father retired. My proceeds from the book will be given to the Red Cross. I have already heard from an apprentice who sailed with my father, when he was captain, after WW2, and from a 93 year old who remembered him in the POW camp. I would be delighted to hear from any other veterans or their relatives who knew of my father and, of course, from anyone who would like to buy the book at a preferential price of ?11.10, including postage and packing. Have you sailed on Agnita? Log in and add yourself as a sailor to the Agnita! Log in and add your personal story to the Agnita!